When Barack Obama lands in Havana later today, he will be the first American president in nearly a century to have visited Cuba. The significance of the visit is not lost on both countries. Since the 1960s, successive US presidents have demonized the Communist government in Cuba and its chief protagonists Fidel Castro. At times on the verge of war, the enmity between both countries has made for pop fiction lore – Hollywood thrillers set against the Cold War. The collapse of Castro and the Communists is inevitable, US presidents would say. Although the Berlin Wall did collapse tearing down with it the Soviet state, Cuba endured sanctions, isolation and oft vitriol from its neighbors. It wasn’t until Castro’s ailing health and his succession by his brother Raul in 2008 that the first seeds of detente with the US were planted. Raul embarked on socioeconomic reforms and by 2013 – thanks to the diplomatic efforts if Pope Francis – Havana and Washington were engaged in secret talks in Canada. At the funeral of statesman Nelson Mandela in December 2013, Obama and Raul Castro shook hands in plain sight of the cameras. A year later, both countries announced that diplomatic relations would be restored for the first time in 54 years. Although US Secretary of State John Kerry reopened the US embassy in Havana in August 2015, Obama has been unable to persuade the Republican majority Congress to lift the 54-year economic embargo on Cuba. 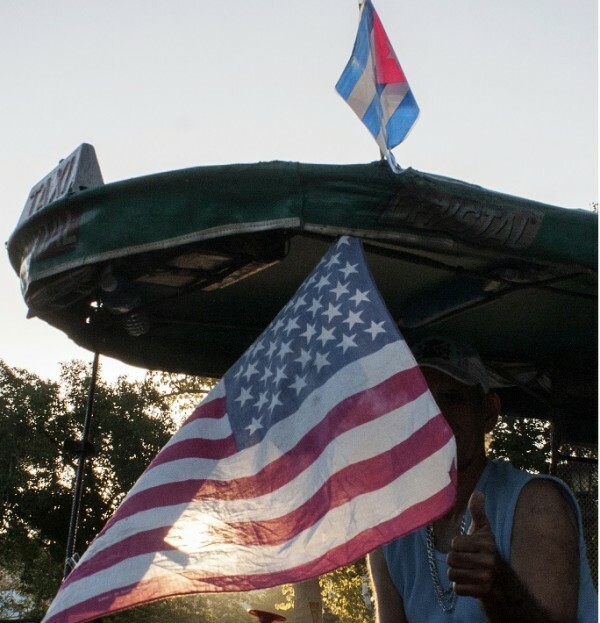 US multinational companies are worried that unless Congress back down, it will be European and Chinese firms that will rush to invest in the new economic realities in Cuba. Obama has had to circumvent Congress in executive orders to open the US to Cuba and vice versa. But his trip is also likely to pressure Castro on economic and political reform, particularly on Cuba ending its five-decade one-party rule and open the arena for opposition parties. Obama is also scheduled to meet with members of the political opposition in Cuba during his two-day visit.